Please help, I need more information about a Doll bought in Italy with signature on her foot. 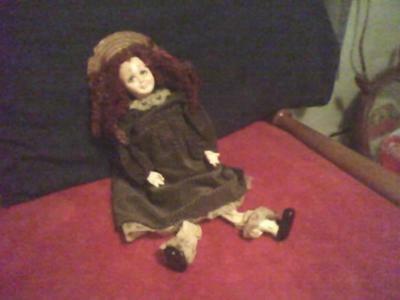 The Doll that I am hoping someone may be able to help me to find more about was bought in Rome Italy. I recently noticed that the Artist hand signed their name (I would guess a name)- "P. Chiari" -on her foot. I have searched on the Internet for a very long time but I can not find any information about this Doll Maker named " P. Chiari ". I would be thrilled to find out any information, Thank you so much! Comments for Please help, I need more information about a Doll bought in Italy with signature on her foot. PLEASE TAKE A LOOK, HELP ME FIND THE ANSWER, I APPRECIATE ANY INFO. AT ALL! THANK U!! PLEASE TAKE A LOOK & HELP ME FIND ANSWER, I DO APPRECIATE ANY INFO. AT ALL! THANK U! !